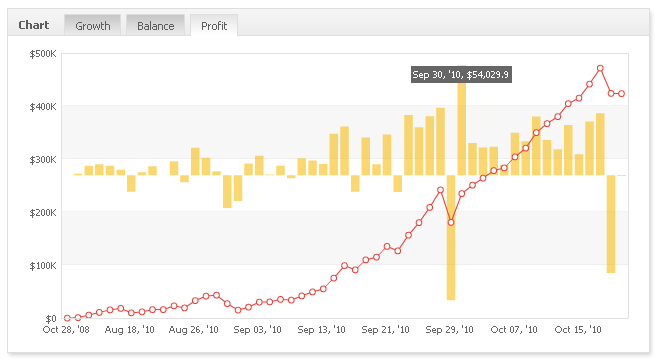 The chart shows your account’s cumulative profit (line chart) and the daily profit (bar chart). The new data will become available on your next account update. Just a quick update: a small but a very requested change was made today – if you perform a custom analysis on an account, the exported statement (html, pdf or csv) will include the custom period only. All of the new statistics can be analyzed in real-time using custom analysis. The new stats will become available after the next account update, as always. Use this section to review and learn about the different automated signal providers – if you have used one of the signal providers, do write your experience with it to help other users. If you know of any other signal providers we’ve missed, do let us know. Update failure notification – the notification will also appear in your Myfxbook dashboard. The Myfxbook EA was rewritten to eliminate the existing crash issue reported by some users – please download the new dll and ex4 file (https://www.myfxbook.com/help/connect-metatrader-ea). 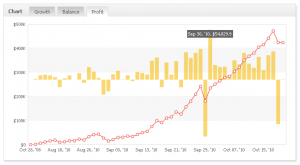 You are currently browsing the The Myfxbook Blog blog archives for August, 2010.